Unleash your inner Elastigirl with this Japanese stretching technique in a mall near you. Dr. 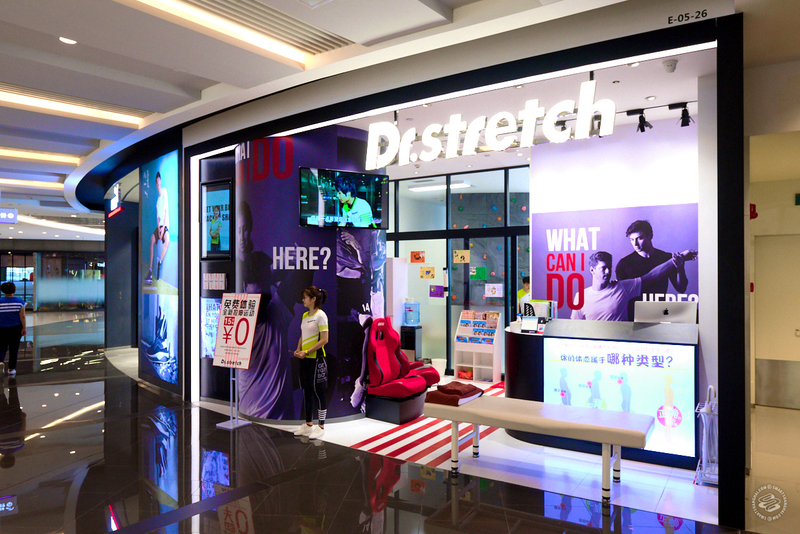 Stretch is a Japanese chain that’s been offering “stretch therapy” for 10 years. It's been in Shanghai malls for 3 years, with the current count sitting at 3 locations and 32 trainers in sporty uniforms, certified in the art of stretching in the land of the rising sun. The technique, "Core Balance Stretch," attempts to get at your 'inner muscles' with the trainer using their whole body to stretch you out. Kneading flesh and pulling on limbs like you're an Incredible, all in the quest for a taller, more balanced body. Though they can't claim to have invented stretching, this technique covering over 100 poses was first created for the Boston Red Sox by trainer Genki Yamaguchi before he returned to Japan to develop it into a brand. Dr. Stretch is now as much targeted at athletes as it is modern city dwellers with our modern city aches and pains. Each session begins by filling out a form to highlight problem areas, medical history, and to inquire if you want your session to be silent (it seems trainers are intentionally chatty, to cut down on discomfort of getting so up close and personal, and all tables are in an open space). They also provide clothes to change into for optimal stretching. Yanan Gu was my trainer for the day, and incidentally the first Chinese trainer who went to Japan to get certified. Yanan's bubbly and talkative, and always thought of something to say as we went from one pose to another, even complimenting my eyeshadow at one point. The whole thing is a lot like yoga meets massage, where the trainer puts you into a position and then pushes you deeper into the stretch. I'm a desk dweller, so my session was focused on my back, neck, and shoulders. Yanan took before and after photos to show how my shoulders went from uneven to ballerina straight in just a few minutes. Well... it hurts. Before you begin your trainer gives you a scale spiel: if there’s no pain, it’s a 1; if you want to kill them, 10. Expect it to stay pretty consistently in the 7.5-9 range. The store's manager Sakura said the first time she tried it, she couldn't stop screaming, which was not the most encouraging pre-session tidbit. But really, how painful it is will differ from body to body. When it's over you’re a bit sleepy, similar to that feeling after a massage. Yanan warned I would be sore the next day, but soreness never came. There are three options for sessions: 30 min session for 248rmb, 60 min session for 428rmb, and 90 min for 628rmb. Also, you can bulk buy 60 and 90 minute sessions for a slight discount. First timers get a 15 minute free trial to see if it’s for them. On your first official session you get a 50% discount. Worth it? Maybe if your Sunday massages don't seem to be doing the trick. It hurts so good in that yoga kind of way, but I'm not sure I felt much different after. Yanan says you can feel the benefits from one session for a whole month, but how often you're encouraged to go depends on your bod (and... bank account). They also give tips on effective stretching at home. Clients range from young to old, from professional athletes to people who sit at their desk too much. You can choose a male or female trainer, it's up to you. Check out all 3 locations here and call ahead to make an appointment. I love this place! I've been going to Erika at Dr Stretch for two years. I've lost weight AND my range of motion has doubled in my arms and shoulders. This is particularly significant because I tore my lats, rhomboids, and rotator cuffs in an accident many years ago. I wish I had gone here first than the "physical therapy" I got back home.